The workers compensation industry is scattered with ancillary service vendors who put their own interests first instead of the customer or injured worker. Their systems are disparate, the technology they have chosen is antiquated, and their IT staff are not up to the challenge. No matter how hard their operational teams strive for customer service excellence, they are hand-cuffed by their lack of IT systems, expertise, and leadership. At HomeCare Connect, developing innovative solutions to complex technical and business problems is one of our core competencies. Our business processes and CareLink system are seamlessly integrated and provide our customers and injured workers with a world-class service experience each and every time. Automated customer-specific rules, state regulations, streamlined workflows, and integrated communications/reporting ensure that the patient is cared for appropriately and the customer is informed at every step in the process. Since the beginning of 2016, HomeCare Connect has made a considerable technology investment in building an enterprise web application that could help the company grow. The idea was to architect and build a single platform that integrated every aspect of our business, allow for clients to easily integrate with us, and could be leveraged by various portals and mobile applications to provide a customized view into our processes for anyone interested in using them. The CareLink application has launched and uses the latest enterprise frameworks and cloud services to provide a stable, extensible, maintainable, scalable, and secure platform. CareLink has been architected in a way that allows us to react quickly to changing market conditions, state regulations, and client requests. It incorporates automatic data feeds for physician NPI/license numbers, state fee schedules, UCR rates, and medical supply catalogs. In February 2017, HomeCare Connect launched our mobile platform CareMobile. It includes TeleConnect - the first mobile application in the workers compensation ancillary services market to provide Telemedicine capabilities. 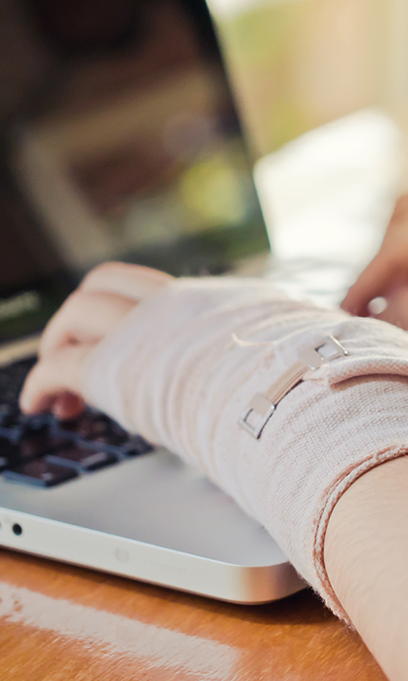 Tele-Connect enables injured workers and their home health caregivers to meet virtually with HomeCare Connect’s clinical care coordinators to discuss treatment. HomeCare Connect uses the application to clarify treatment, educate injured workers, monitor the use of durable medical equipment, and help amputees adjust to prosthetics. Tele-Connect can also be used to take adjusters on virtual walk-throughs before, during, and after home modifications. Tele-Connect is fully integrated within the CareLink platform so our clinical care coordinators do not need to launch a separate application to communicate with our patients via video conference. © COPYRIGHT 2019 HOMECARECONNECT. ALL RIGHTS RESERVED.